A group of GCU alumni had great advice Thursday night for students who soon will be graduating. But the key to the advice at the “Ask an Alum” event was all the adversity they overcame. This week’s Antelope Intros feature a student services counselor who likes to explore foreign countries and a University counselor who got turned on to GCU while learning about servant leadership and Conscious Capitalism in his MBA program. 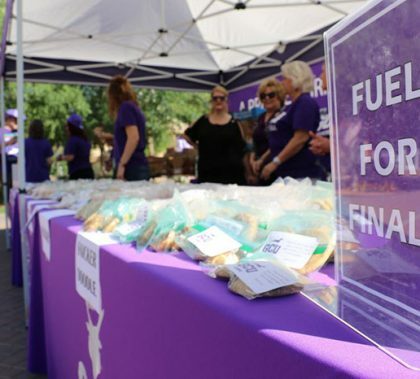 Finals Focus offers a number of ways that students can get assistance during this stressful time, from tutoring to snacks to extended library hours. They even can get an emotional boost. “We just want to be able to tell students to hang in there, give them a hug,” said Jeanne Lind, parent and family program coordinator for the Office of Student Engagement. 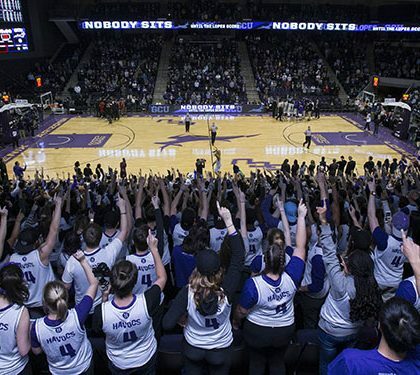 Saturday night’s basketball game against Louisville is the biggest in GCU history, and the Havocs are making sure the spirit is strong — they’ll be camping out Friday night on the Quad to be first in line. They also are promising some new routines and, of course, more noise than ever for the game. 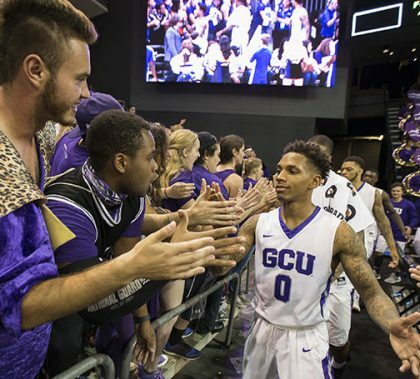 The relationship between the GCU men’s basketball team and the Havocs student cheer section is an excellent example of how the campus culture works. They’re friends, and in one case they’re even roommates. “There’s a mutual respect,” said Steve Hunsaker, the Havocs’ president.